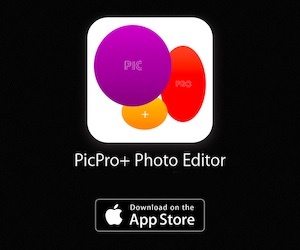 If you want to write effortlessly and quickly on your iPad and iPhone, you should use any good word processing app. 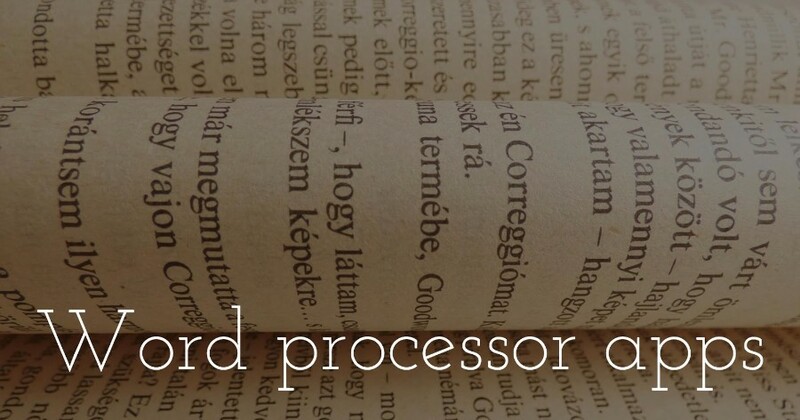 Here, you can see 8 best pro word processor apps for your iPad and iPhone. These all word processor apps are fully-functional and user-friendly. There are lots of word processor apps on Apps Store, but here we have listed only the best word processor apps for your iPhone and iPad. 1. 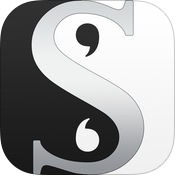 Scrivener ( iPhone + iPad ) :- Scrivener is one of the best and amazing pro grade word processor apps for iPad and iPhone. This word processor app has lots of wonderful and unique features such as interactive tutorial project, import word, RTF, Plain text files, navigate quickly, simple bullets & lists, full-screen mode, pinch to zoom or resize text and many more. With the help of Scrivener app, you can split easily imported text into separate sections, you can write your manuscript in sections of any size, you can view all sections as a single text using the Draft Navigator (iPad), you can also write in any order and reorganize later. 2. 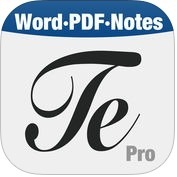 Textilus Pro Word Processor ( iPhone + iPad ) :- If you are looking for an excellent and powerful word processing app for your business purposes, you can use Textilus Pro Word Processor app on your iPad and iPhone. 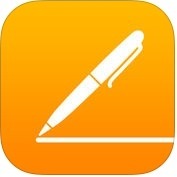 With the help of this pro word processor app, you can organize your research, generate ideas, you can synchronize between your iPad and iPhone automatically, you can create unlimited notebooks, folders and nested subfolders, you can install your own true type fonts, you can insert inline photos, signatures, charts, and drawing in your documents, you can transfer your documents between your iPad or iPhone and your computer via Wi-Fi with a web browser, you can also protect your folders or notebooks with a password. 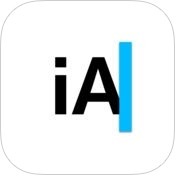 3. iA Writer ( iPhone + iPad ) :- It is one of the best and traditional word processor apps for iPhone and iPad. iA Writer app has several amazing and useful features such as configurable keyboard bar, synchronized scrolling markdown preview, real-time iCloud and Dropbox sync, auto markdown formats text on screen, customized for retina displays, handoff support and many more. You can also share to WordPress and medium. 4. Pages ( iPad + iPhone) :- With the help of this powerful and excellent word processor app by Apple, you can create gorgeous reports, documents and beautiful resumes at your fingertips on your iPad or iPhone. You can share the documents for real-time collaboration with other person through the Mac, iPad, iPhone and iPod touch. You can organize your data easily in tables, and you can add images and video to your document using the media browser, you can also create footnotes and endnotes and view word counts with character, paragraph and page counts. 5. Microsoft Word ( iPad + iPhone ) :- If you want to make your word documents beautiful, you can use Microsoft Word on your iPad and iPhone. 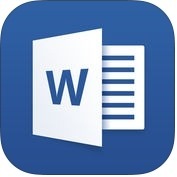 With the help of this word processor app, you can view email attachments and access word documents from OneDrive, iCloud for business purposes or share point, you can express your ideas absolutely the way you want, with rich formatting including fonts, pictures, tables, shapes, footnotes, page layout, textboxes and more. 6. Werdsmith ( iPhone + iPad + Apple Watch ) :- Werdsmith is one of the best and wonderful word processor apps for iPad, iPhone and Apple Watch. With the help of this word processor app, you can write anytime, anywhere and make a fantastic and useful portable writing studio. You can get feedback from friends, and show the entire world what you are doing on through Twitter and Facebook, or you can create your own portfolio and you can also improve your skills and complete your projects. 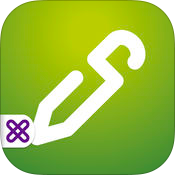 Werdsmith is simpler but advance featured writing app for iPhone, iPad and Apple Watch. 7. 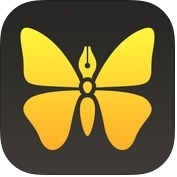 Ulysses ( iPhone + iPad ) :- Ulysses is a powerful and familiar word processor app for iPad and iPhone. This pro word processing app has lots of features such as full keyboard navigation with external keyboards, simple markup for headlines, lists, comments, quotes, important passages, spell check, auto correction, dictionary, dictation, ID Touch or password protection, built-in share extension and more. You can also edit external text files stored on Dropbox and export as PDF, DOCX etc on your iPhone and iPad. 8. 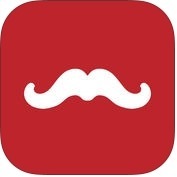 QuickEdit for XenMobile ( iPhone + iPad ) :- Citrix QuickEdit has lots of amazing features such as unique combination of powerful editing, password protect files, collaboration & cloud storage, display power point presentations, automatically saves edits in all Microsoft Office document types, footnotes, endnotes, and many more. With the help of this word processor app, you can access files anywhere with cloud storage support for share file, you can print wirelessly documents and pictures from your iPhone, iPad and other mobile devices.